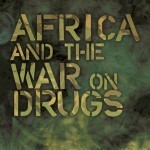 October 2012 saw the publication of the latest book in the African Arguments series: ‘Africa and the War on Drugs’ by Gernot Klantschnig and Neil Carrier (published by Zed Books). African Arguments online (a spin-off website from the book series) ran a short debate series on the book including a review by Stephen Ellis, a pair of articles by the authors on East and West Africa, a response piece on the cocaine trade in West Africa by James Cockayne, and a focus on Guinea Bissau – often touted as the world’s first ‘narco-state’. Stephen Ellis describes the book as being “fair in its approach…[but] polemical in intent” – targeting the US-coined ‘war on drugs’ waged by successive Presidents for over 40 years, which has failed to eliminate drug consumption in the country. Ellis described the appearance, in the last decade, of West Africa in the imagination of those concerned with international policy on security and organised crime. Notably the United Nations Office on Drugs and Crime (UNDC) developed a narrative of “scourges”, “menaces” and “drug barons” – language we are familiar with in relation to both domestic consumption of drugs and the well publicised South American cartels which control its supply. This is the kind of approach that Gernot Klantschnig, who wrote the West Africa part of the book, would presumably take issue with. He asserts that “the great diversity of claims about West Africa’s role in the cocaine trade should tell us that the evidence at the basis of such claims is very thin.” He quotes the latest World Drug Report, which states that since 2007 the West African route has actually decreased in importance. This does not mean we should be unconcerned; rather that policy should not be based on research that is often years (or decades) out of date. Current analysis of the trade is generally ahistorical, and policymakers would benefit from a better understanding of the long relationship between African countries and the global trade and consumption of narcotics. Klantschnig dismisses claims made by the UNDC that whilst West Africa is currently a transit hub for cocaine, asserting the unlikelihood of it developing as a production site. He also counters the argument that political instability, which dogs the region, will increase the presence of the trade, arguing that instability and corrosive borders are not necessarily an advantage for drug smugglers. Finally, he suggests that, from what we know of the harm that US ‘war on drugs’ policies have had on populations in countries affected by their implementation, we should be careful before we advocate a similar policy in West Africa. For example, the Nigerian experience where, since the 1980s, the most repressive state agencies have been used to wage ‘drug wars’, has resulted in harassment and imprisonment of many Nigerians, mostly for possession of small amounts of cannabis, doing little to combat the real problem. James Cockayne, writing a response specifically to the West Africa section of the book, argues that it “fiercely downplays” the impact the cocaine trade is having on West African governance. Cockayne makes the argument that there is “close involvement” of political and military actors in drug trafficking, and that they overlook the growing power of drug money in African electoral politics, local and traditional governance, and security. Cockayne describes a greatly expanded cocaine trade that involves multi-tonne shipments transported by ship or plane. He posits that violence is kept low because of political involvement “where that sponsorship is contested, violence results.” A central contention is that whilst Klantschnig would argue that political instability in, for example, Guinea Bissau functions as a brake on the trade; Cockayne believes it is its consequence. The West African cocaine trade is not ‘business as usual’, despite the region’s long history of governance through the appropriation of criminal rents; it is something new and more insidious. According to Cockayne, the West African drug trade is creating “junky economies” which skew capital and labour markets away from more productive (and legal) sectors. He concludes that we should be ambitious with our counter-drugs policy, going beyond Klantschnig and Carrier’s calls for increased investment in the types of harm reduction strategies we are familiar with in the West. This should include mobilising civil society to pressurise political opposition to the drugs trade. It must also strike at networks of corruption, often fuelled by illegal drug money, and end the impunity of political elites which control the trade. Finally, Cockayne quotes Stephen Ellis: “Many officials throughout the region are deeply concerned by the effects of the drug trade, but are often confronted by people and networks more powerful than they, with other priorities.” A worrying conclusion, we must agree. Neil Carrier’s contribution, reflecting on his own section of the book, changes the focus to an entirely different manifestation of the drugs trade and region of the continent. Carrier’s focus is on the East African trade in Khat – a mild stimulant derived by chewing the leave of Catha edulis – a tree found wild and cultivated from Yemen to the Eastern Cape. In contrast to the West African cocaine trade, the sale and consumption of khat is not illegal under international law, although many countries in Africa, Europe (but not the UK, as yet) and North America prohibit it. Khat may be derived from the same alkaloids as amphetamines, but its effects are considerably less potent, despite some somewhat overblown newspaper headlines, particularly in the UK. Khat is particularly prominent among the Somali communities across the Horn of Africa and in Somalia itself, Ethiopia, Djibouti and Kenya (as well as among the large Somali diaspora population spread across the world). Whilst excessive khat consumption can be problematic amongst the Somali population, as any excessive consumption of a comparable stimulant e.g. alcohol would be, Carrier stresses that any regulation on it will have a severe impact on Somali culture (where it plays an undeniably significant part) and the economy – many farmers in the region rely on growing khat for export (particularly in East Ethiopia). Carrier states that “understanding the power of all drugs requires…contextualization, as the settings and patterns of consumption play a heavy role in determining their impact” – this is most clearly the case when addressing consumption of substances like khat that are not especially potent pharmacologically. He argues that the ‘war on drugs’ rhetoric “gives far too much power to the substances themselves, leaving little room for understanding how substances and their pharmacological effects are moulded by social and cultural processes.” This is a useful summary of where Carrier and Klantschnig see their work as fitting in to a body of literature on drug regulation, but one that (as we have seen, particularly through the responses by Kirschke and Cockayne) is not universally accepted. Magnus Taylor is Editor of African Arguments Online.